A JUST-RELEASED Climate Council report into electricity prices in South Australia says without SA’s high level of renewable energy the state’s reliance on gas and resultant costs would be even greater. This echoes what other reputable analysts have been saying. It’s time, therefore, to put paid to the misleading commentary and, at times, hysterical attacks on renewable energy in South Australia, especially from some sections of the Murdoch media. The upcoming meeting of the Council of Australian Governments (COAG) Energy Council on 19 August in Canberra would be an ideal time to discuss the SA power crisis and the role of renewable energy in helping to alleviate it, as well as an urgent national transition plan to renewable energy. Fossil fuels undermine our national security and economy, as well as our health. Just recently, Barclays Plc reported the fossil fuel industry risks losing a staggering $33 trillion in revenue over the next 25 years to climate change, while China announced no new coal-fired power stations which will have a direct impact on our exports. Crucially, what we as doctors are especially concerned about is that fossil fuels are hazardous to health. Even short exposures to particulate matter (hours to weeks) can trigger cardiovascular deaths and illness. Longer exposures greatly increase the risk of cardiovascular and respiratory disease mortality. In Australia, conservative estimates show that air pollution from coal use is linked to about 3000 deaths a year – double the road toll –while a report by the World Health Organization in 2008 estimated that particulate pollution from coal could be causing over 1 million premature deaths annually. The costs of fossil-fuelled power generation on the health sector are large. Recent testimony to the U.S. House Oversight Subcommittee on Energy Policy and Health Care put the health cost of coal-fired electricity at between $37 billion and $90 billion annually. By extrapolation the health costs to Australia of burning coal could be as high as $2.6 billion a year. Pollution from coal is not the only health issue. Coal is also a main driver of climate change which the highly regarded medical journal, the Lancet, has described as the biggest global health threat of the 21st century. We are already seeing the health impacts of rising temperatures through extreme weather patterns. During the February 2009 heatwave in South Australia, there were 58 excess deaths, while during the heatwave in Victoria in January 2014 there were more than 203 deaths (twice the average). 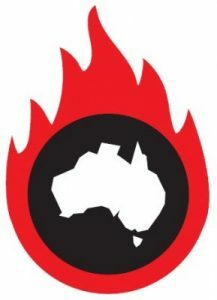 Bushfires pose numerous risks to health. In Victoria in 2009, the Black Saturday bushfires resulted in 173 deaths, and 414 people presented to public hospital emergency departments in the first 72 hours after the fires. Long-term mental health impacts on survivors can be significant. Mosquito borne diseases such as malaria, dengue and chikungunya virus are likely to spread more widely. Storms and cyclones can damage water supplies, sewerage and electricity leading to impacts such as gastroenteritis outbreaks and disruption of health systems. The loss of natural ecosystems and biodiversity is a danger to all. Loss of the Great Barrier Reef is about much more than loss of a pretty tourist attraction. Climate change will lead to conflicts over water and resources, and to crop failures and climate refugees. The Paris climate agreement once ratified commits a majority of nations to limiting global warming to 1.5 degrees Celsius above historical records. We are already at 1 degree above this level. To achieve that aim, more than three quarters of known fossil fuel reserves need to remain unburnt between now and 2050, the lion’s share of it in coal. a message endorsed by the heads of the UN, the IMF, and the World Bank. The Overseas Development Institute, a leading UK independent think tank, states that 20 nations are propping up fossil fuel production with $US452 billion a year, almost four times the entire global subsidies for renewable energy. Yet coal interests continue to mislead the Australian public. The Minerals Council of Australia claims that renewable energy is subsidised at 19 times that from fossil fuels. Their report takes no account of the health, climate change and environmental damage costs from all phases of the fossil fuel chain. Both major political parties parrot the propaganda of the companies. According to recent Australian Electoral Commission records, both parties receive considerable donations from fossil fuel industries. Over the five years to 2014, the majority owner of the New Hope coalmine in Queensland reportedly donated $975,000 to the Liberal party. During that time, the mine was seeking approvals on their environmental impact statements which were heavily criticised on health and economic grounds. This is one example of many donations made by proponents of coalmines. Similar unconventional gas company donations occur from proponents having difficulties in approvals. For example, Santos allegedly donated about $170,000 to both major political parties, at a State and Federal level in 2014-15. The donations for re-election are unconscionable, and are akin to the medical profession receiving personal favours to prescribe one treatment rather than another. The medical profession has structures that aim to ensure self-interest is negated. Political parties do not. All these donations are currently legal and reform of this fact must come in the interests of human health. There is also the revolving door of jobs. A Fairfax investigation last year showed evidence of “cross pollination” between governments and industry. Former political staff and politicians, many of whom had a prior role in the regulation of the industry, moved across to the mining industry, while some moved from senior jobs in major gas companies to advising roles in ministers’ offices. Environment and Energy Minister Josh Frydenberg recently said on ABC’s Lateline programme that he understood the need to transition away from coal, a marked change from his championing of coal during the Abbott years. However, given the lack of real action to date it is not clear that he understands the urgency. Much wider application of wind and solar, storage solutions such as concentrated solar thermal at Port Augusta, pumped hydro, and battery storage can provide us with all the clean safe electricity we need in a land of abundant sun and wind. It’s up to all of us to contact our energy ministers before the COAG meeting and tell them to support a clean energy revolution and do the right thing by all Australians. Dr Graeme McLeay trained as an anaesthetist. He is based in Adelaide and is a member of Doctors for the Environment Australia.